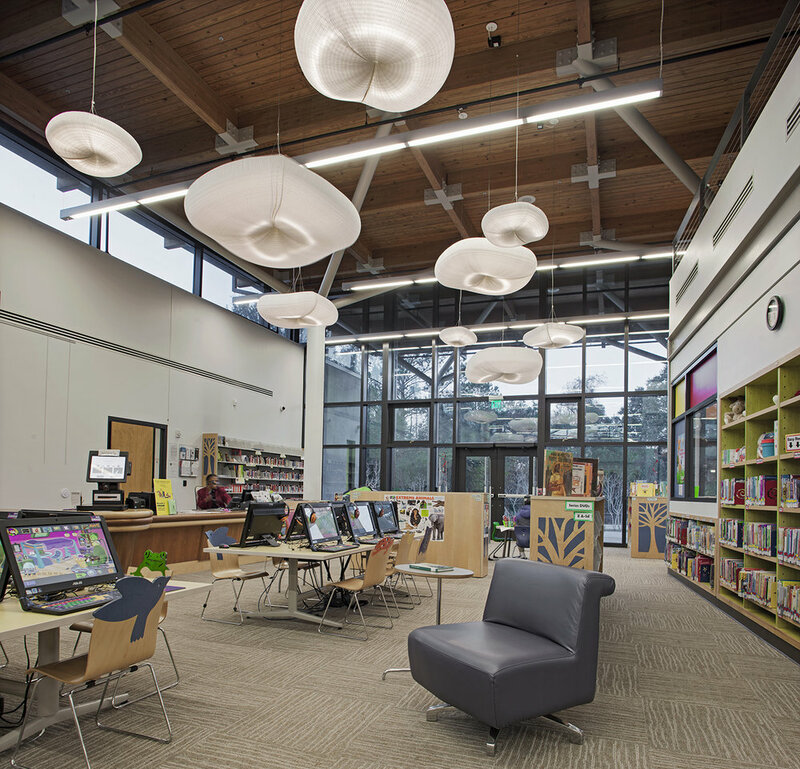 Modern, yet warm, the architecture reflects the unique attributes of Gullah-Geechee Sea Island culture & the vibrancy of the library as a 21st Century gathering place. 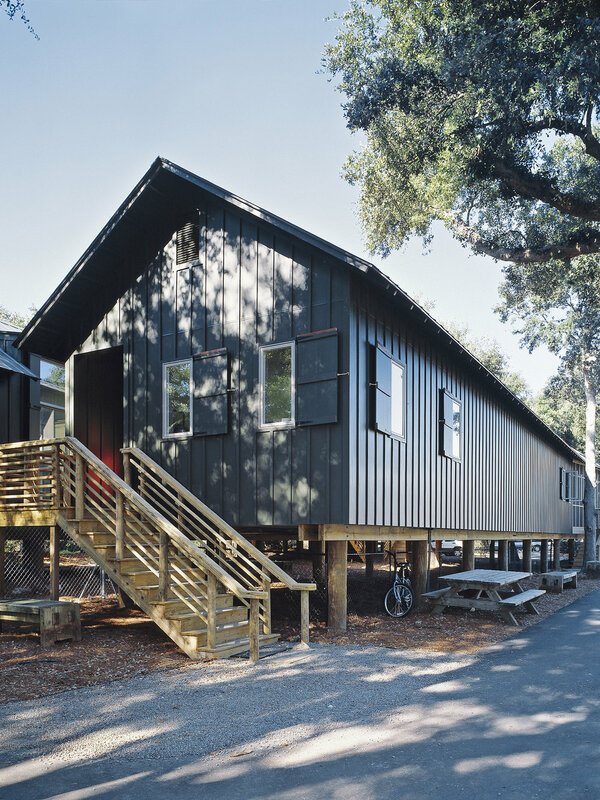 Prior to design, community workshops were held to gain insight into the context of the Gullah Geechee culture. 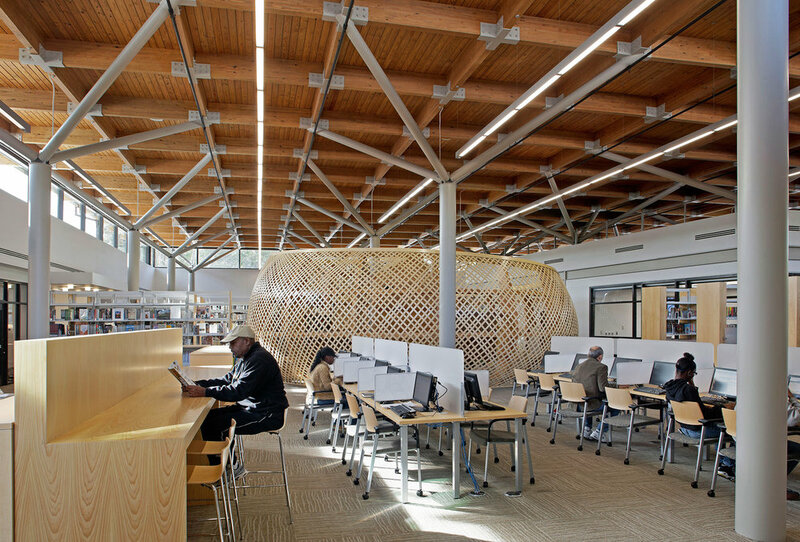 The building was designed to utilize very simple forms & construction methods to provide the iconic features that symbolize the shared values of the library & St. Helena community. 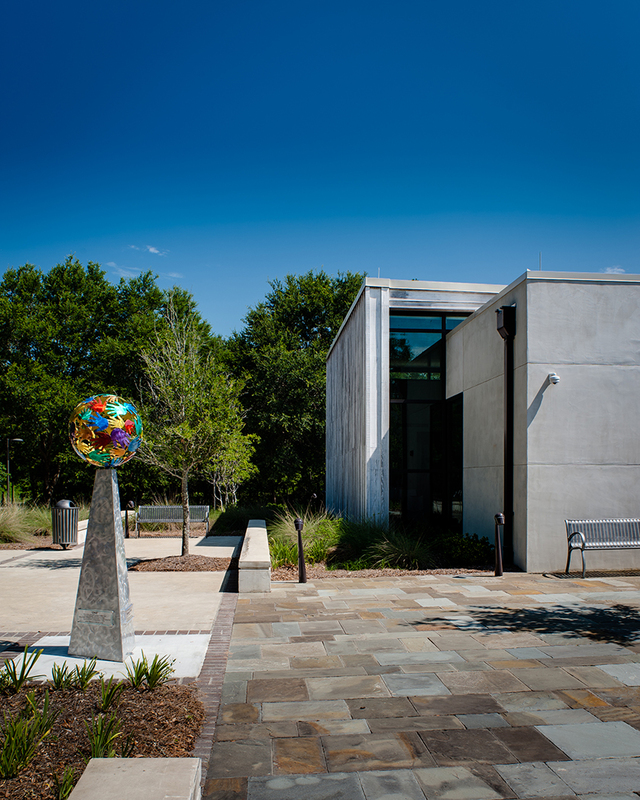 The Gullah Geechee context is revealed in several aspects of the architecture, including the woven nautilus of the special collections area located at the heart of the library, suggesting the forms of marine life & traditional net making; raised wood “stomping” floor in the community meeting room that provides the percussion for sea island spirituals & the “tree” columns reflective of historic images of learning at Penn Center under the massive live oak trees. This project was funded through CDBG & USDARD grants & loans. 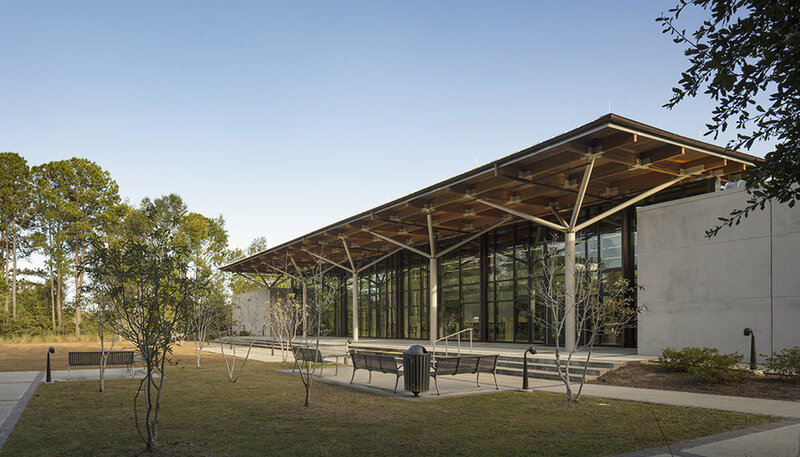 Founders Hall explores an architectural language of visual connectivity to its park setting while subtly integrating sustainable design within the building’s anatomy. The design objective was a restrained & sensible structure conveying a graceful interior & exterior tied to a simple linear plan. 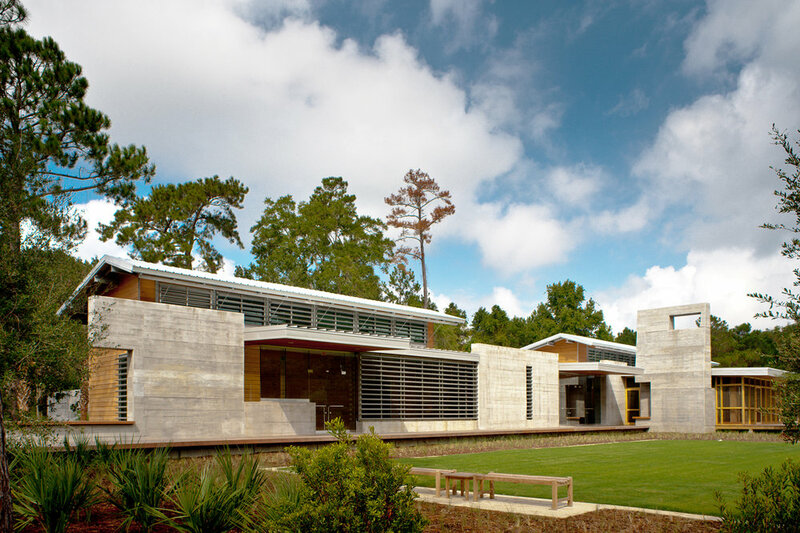 Sweeping panoramic & personal portal views frame the exterior throughout the interior spaces. 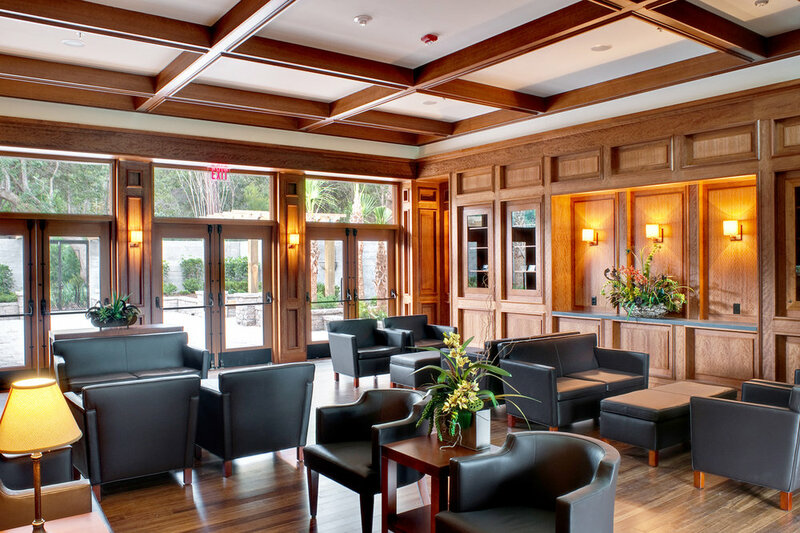 This certified LEED Gold facility provides flexible meeting areas that can accommodate anywhere from a small executive gathering of 18 people, to a sit-down dining experience for 150. A full-service kitchen provides the food service for all functions. Charles Towne Landing State Park was borne out of South Carolina’s tricentennial celebration. In the decades that followed, the mission of the park was lost; the tricentennial faded from the park’s story leaving the colonial history of the site underemphasized. The park then settled into a pattern of activities unrelated to that history, most notoriously were demonstrations of diving donkeys. 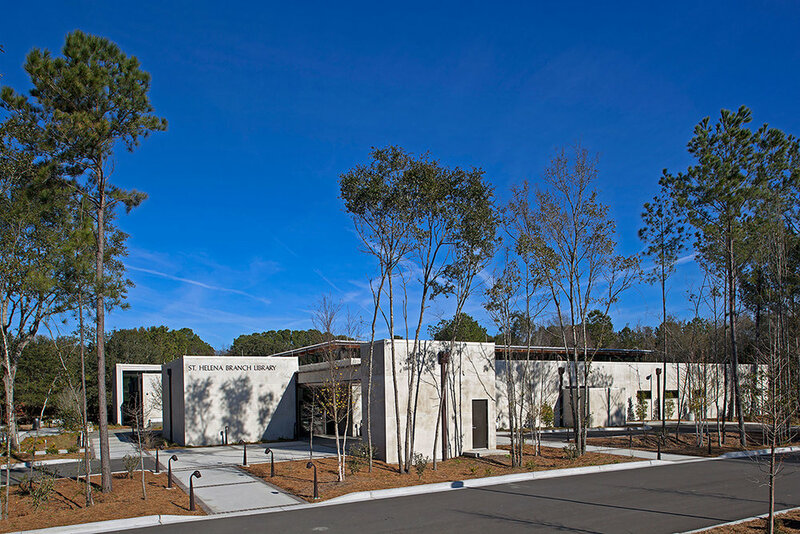 Liollio Architecture assisted the State Department of Parks, Recreation & Tourism in un-muddling the mission of Charles Towne Landing, providing a clear focus on the ten-year period of significance (1670-1680). This decision streamlined the interpretation of the site, while providing strong design principles for new buildings on the property. The program for this facility, located in a golf community planned by the Olmstead Brothers in the early 20th century, called for a central service center. 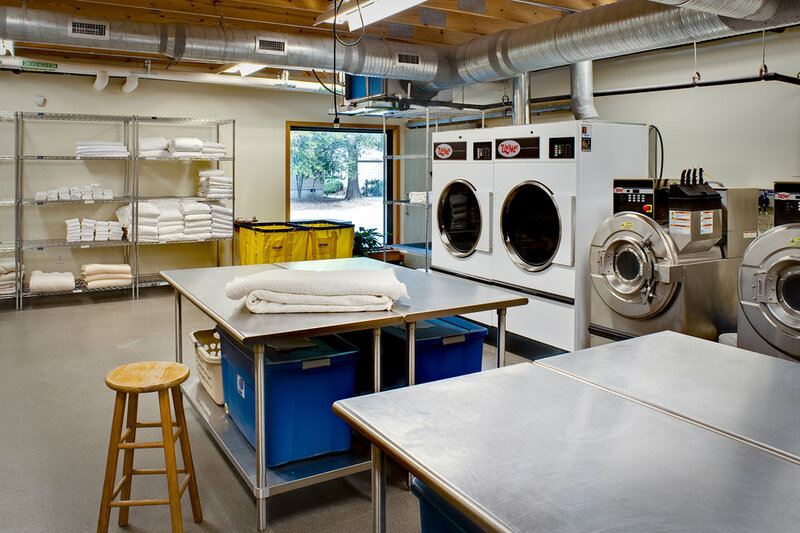 The service center houses the finance office, all laundry service & bulk dry & refrigerated storage for the kitchen that supports the club house. It also provides storage for seasonal items & is the drop-off location for bulk product & UPS/FedEx deliveries for the 30+ residents that live in this pristine neighborhood. The building’s massing is broken to respond to the surrounding golf community. This allows more flexibility for sitting amongst the majestic oaks & to better service vehicular access. The volumes are simply stated with an exterior ribbing that relates to its early 20th century neighbors. 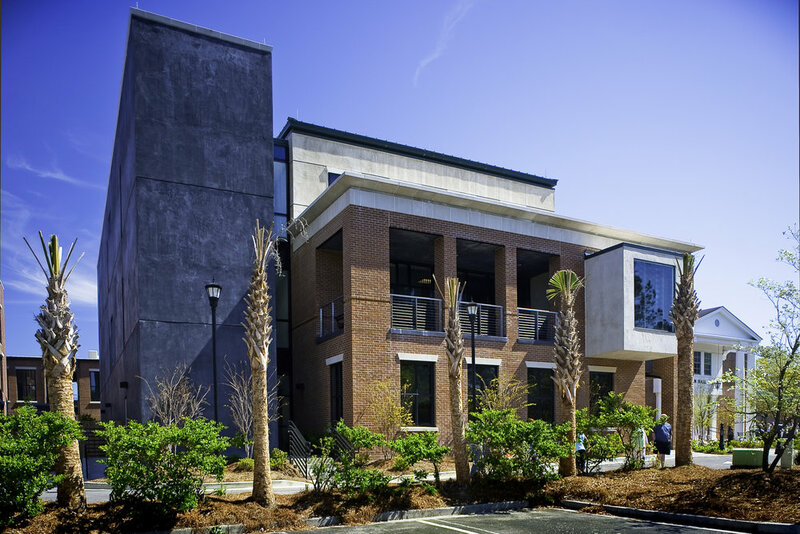 Liollio worked closely with the Town of Summerville to develop personnel projections & space needs for the Town Hall & a new annex located in historic downtown. This collaborative exercise with the Town Council encouraged the involvement of community groups for design input. 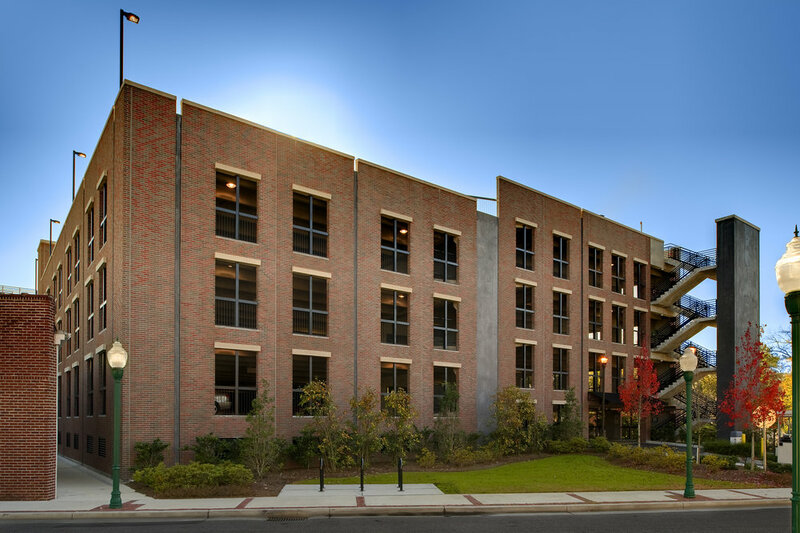 The project included renovation of the existing Town Hall, construction of a Town Hall Annex building, a new parking garage, retail space and office building to serve future expansion needs and provide rental income. 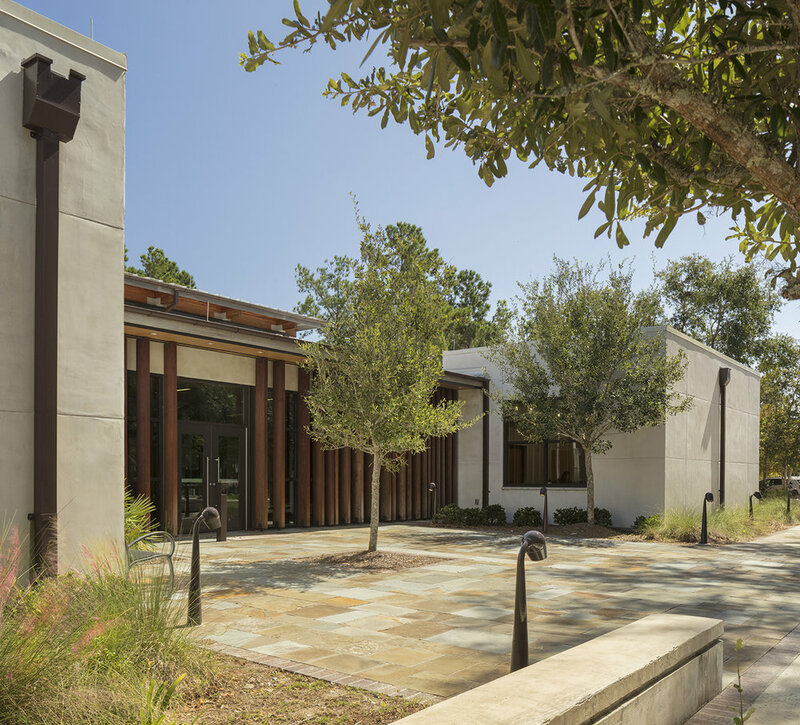 Located on the interior of Kiawah Island SC, this project was initially conceived as a practical matter of moving maintenance personnel from 15-year old construction trailers. The design challenge became how to place a pragmatic use seamlessly into a naturalized development. Liollio committed itself to design simplicity which became the project’s strength. A pair of long thin buildings with simple roofs thread between oaks like needles. A courtyard develops between the two & a hyphen links one building to the other. The buildings splay at one end creating space for an elevated platform beneath the best tree canopy on site. 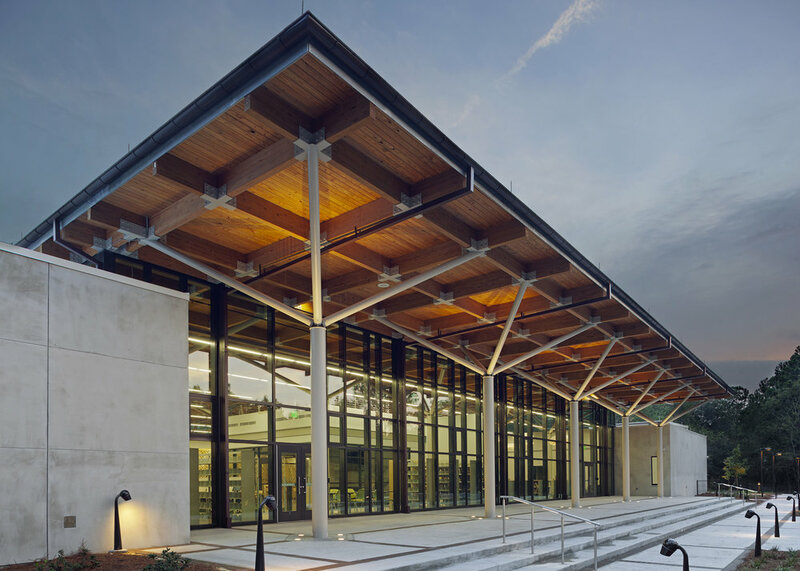 The design challenge of the new SouthTrust Bank building was placing a 21st century structure in an 18th century context. 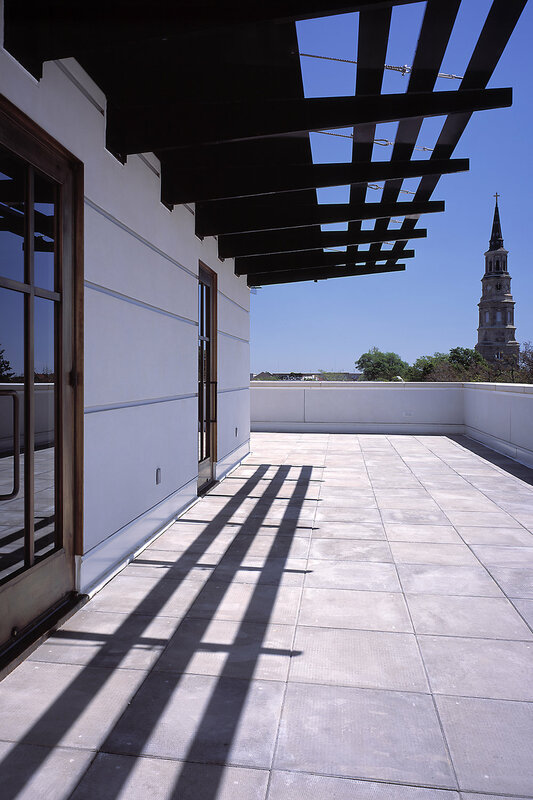 The building is located at the site of the original bastions of the original walled city of Charleston SC. 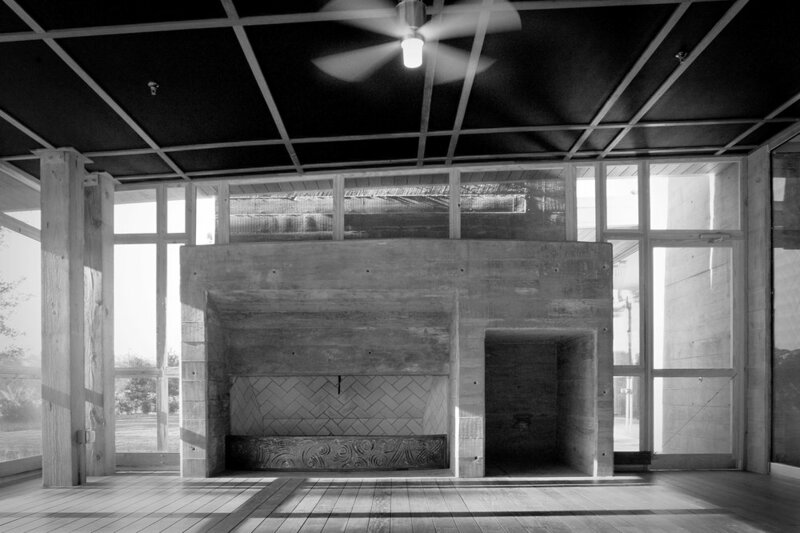 There are only three materials on the exterior of the building – each occupying a distinct layer of highly figured pre-cast concrete & then an intermittent layer of muntz metal. The muntz metal is used wherever people touch the building – doors, handrails & window frames. The stucco expresses a bleached white aesthetic while the pre-cast is used to express something more rich & detailed by light and shadow. The muntz metal expresses its own rapid state of change as it patinas from exposure to the coastal air & human touch.